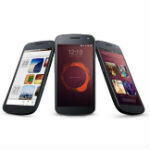 Ubuntu Carrier Advisory Group to deal with providing "differentiation without fragmentation"
When we talked to Canonical's Pat McGowan last month, the overall idea that we got was that Ubuntu Touch is aiming to avoid the same issues that many have criticized Android for, most importantly in offering carriers and manufacturers options to customize and differentiate Ubuntu without causing "fragmentation". We contacted Pat about the newly formed Carrier Advisory Group (CAG) for Ubuntu Touch, and he says that will be a main focus of the group. Getting direct feedback and requirements from the CAG will be instrumental in how we lay out the development roadmap. The group will meet fairly frequently and at each meeting tackle a different topic area for discussion. The results of these discussions will factor directly into the product planning. Canonical is expecting more members to join the CAG, but time is limited as the group will be closed to new members by the end of July. The current members will be meeting over the next few days at the Mobile Asia Expo in Shanghai. We'll try to find out some info from those meetings and bring that to you. That is such a silly thing to say. So many carrier overlay features were eventually incorporated into stock Android that the OS wouldn't be what it is today if they had never existed. Google encouraged it all along. If you don't like them, go buy a Nexus. Simple as that. They are not Skin but they Completely a new version of Android when OMEs built them. BTW, I hope someday OMEs will provied stockfeature+thheir Feature in Future.